On the morning of May 15, the Pitmen gathered at the Sviatoshyn base. 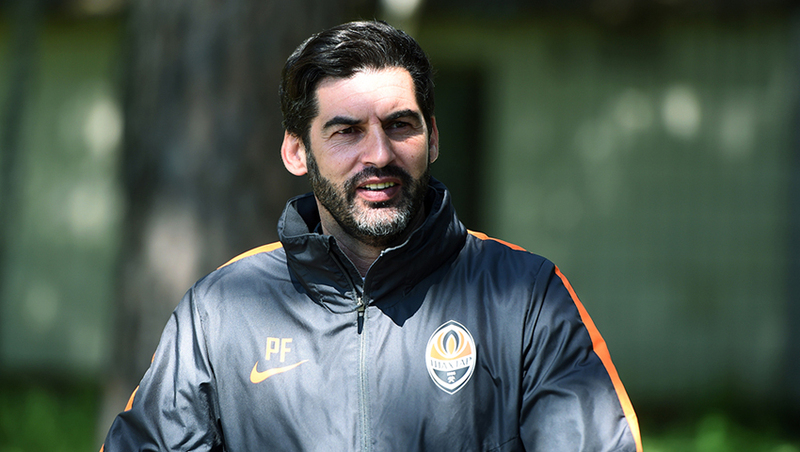 Before starting the training session, Paulo Fonseca held a theory session, the players had a practical part on the field then. With the exception of the warm-up, the whole session was based around tactical exercises. Finally, the Donetsk team worked on set pieces. Andrii Boriachuk recovering from injury, trained individually. Tomorrow morning, the domestic champions will go to Kharkiv. Another training session has been scheduled at the OSC Metalist for tomorrow evening. Let us remind you that the Ukrainian Cup final Shakhtar vs Dynamo will be held on May 17. It is to start at 21:00. You can purchase tickets at the box office 6 of OSC Metalist (from 9:00 until 20:00, no breaks and days off), as well as online, on shakhtar.com.